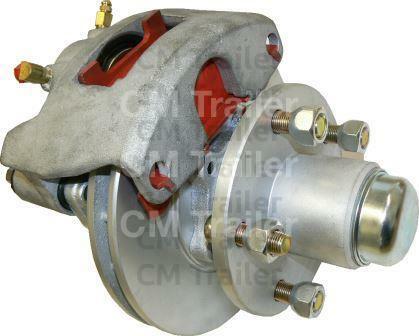 CM's latest design incorporates a one piece vented rotor/hub as a more cost competitive option. Choice of calipers includes GoldLine, Dacromet Coated or full Stainless Steel for the marine industry. Designed to fit inside 10" wheels. Ideal for jet ski trailers. NOTE: Gold Line calipers do not have stainless steel components. 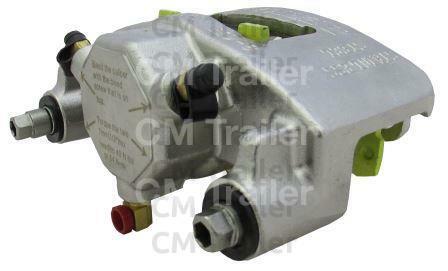 INTEGRAL HYDRAULIC PARK BRAKE CALIPER 2 1/4"
CM 2.25" caliper with an integrated mechanical park brake. Available as centre pull or forward pull. 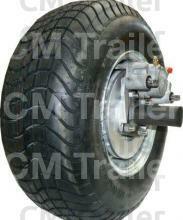 Used on trailers over 2500kg where a mechanical park brake is required by law. 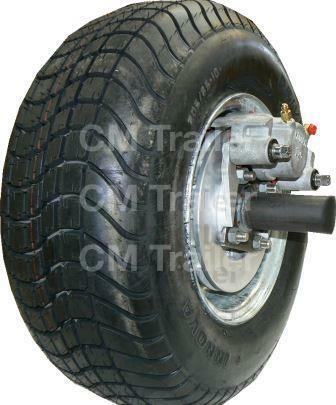 For use with CM 1500kg/1750kg/2000kg and 2750kg disc brake sets.